Look at your plays for the month of August, and then check out the games and see if you can find any games where you are currently the solitary logger of a play for August (or if the other loggers were actually in the same game session with you.) Use your common sense in order to make the search faster. Obviously things like Dominion, Magic, etc. will have plenty of people playing them. Note: expansions that only you logged are fine, feel free to add them as well. Then share any comments you might have. Are we missing something? How could this happen? What is your opinion of the game? Yet another month where I'm the only one playing this fun trick-taking game. This was our first time playing 5-player, and we found an important rule missing from the rulebook. However when played 4 player it still works great! 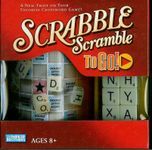 This the game that was blatantly copied by Bananagrams, which they claimed was their own idea, even though this was created about 9 years earlier. Anyway, you draw tiles to create your own crossword style board, as is everyone else. When you used up every tile, you yell draw, and everyone draws another one to add to their board. Keep doing this, adding and rearranging, until every tile has been taken and be the first to use all your tiles in legitimate words. My standard addition to this list - world trivia fact game. 2 games played/registered and 2 other registered are by same table players. Once again this month, my daughter is the only reason I can put something on this list. She likes the obscure games for some reason (bless her heart). I'm not really sure why this one doesn't get more plays. Maybe it seems to "educational"? I enjoy it, I guess because I actually remember some of these things actually taking place! The sad part is, loosing to a 9 year old! At least she's smart like her mama! We also played The Price Is Right Game: DVD Edition. Not proud of this one. She loves game shows, what can I say. This was a thrift store purchase, so at least we didn't pay retail. If I remember, she actually used her own money to buy this one. I'll play it with her, because it makes her smile. (but I don't have to like it, right???). Plus, she always wins! I don't know how much anything costs! I played this twice with my daughter earlier in the month, plus once late last month. 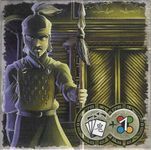 There are now three total plays in the database, so not only was I the only person on BGG to play the game this month, I'm apparently the only person on BGG to have played it ever. I played this with my wife in the bed before we went to sleep. A real, take it anywhere sort of game. This was one of two plays I got in this month (slow month). The other game, Ice Flow, only had 4 plays, so it was a close one. I played a full game of this at Gen Con. This is a naval combat game, but all of the maneuvering has been removed so it essentially is just a lot of rolling dice back and forth hoping to get more high numbers than the opponent. Bist Du sicher? - another game I can count on making this list when I play it. Sindbad - great game. Not a BGG game at all, but a great game nonetheless. Even with a few days left to the month, I am stunned to be the only one to have recorded a play of TAGTFOS! Picked this up at a thrift store for a buck this month and registered the only play with my wife and four-year-old. It's actually a pretty decent kid's game with some strategic elements engaging enough for adults as well. I think this one will continue seeing plays from month to month. It was an o.k. game. Not one that I feel a need to own though. Looks like I've played both of the games of Njet! recorded this month. And, amusingly - even though it was played on the last day of the month, I appear to have been part of the only recorded play of Julchen und die Monster, too. A fun twist on Go Fish, where players mime the image on the card instead of talking. 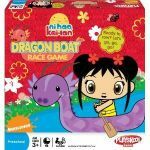 This is a great game for little ones and I wonder if I am the only one actually recording plays of this game because of that. Finally something to put on the list. We enjoy this game quite a bit. It's light and fun. Small game so it travels well. Just roll some dice and push your luck. 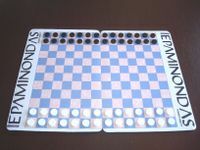 I'm the only one who logged a play of this classic 1975 abstract strategy game Epaminondas by Robert Abbott. 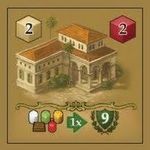 I've got a physical set from nestorgames, and I also play it online. The rules are delightfully simple: you can push a line of N of your pieces up to N empty spaces (1 piece can go 1 space, 2 in a row can go 1 or 2 spaces, etc). You can also crash into an opposing enemy line which is shorter and destroy the whole line. The goal is to reach the far side. If you have more pieces on your opponent's home row than they have on your home row at the end of their turn, then you win. Just Albion for me this month. A little surprised that it's getting onto this sort of list, as it is from a well-known designer. A perfectly inoffensive little game about conquering England and Wales from the South upwards. I doubt it gets much play in Scotland. Our game finished brilliantly - we were all tracking one player to win, and working out various ways to stop him, and then - just as it looked as if we were going into the final round - player 4 (my wife) built two 4-cost villages on the same turn and ended the game immediately, winning into the bargain. Entirely worth it for finishes like that. First player to play this since April 2013. Considering that it is a reimplementation of the original 18xx game 1829 by Tresham himself, I'm a bit surprised that it is so unpopular. I also have the only listed play for 18West this month. It was close for 1826: Railroading in France and Belgium from 1826 but somebody else logged a play as well. I went to a monthly game day that I don't usually manage to attend. Only one other guy showed up, so I introduced him to the pyramids. We played six different titles, including a few that often qualify for this list. This is the only one that doesn't currently show any logged plays for the month. I'm always surprised more people don't play this, but there's no reason to expect that they would. It apparently was self-published with presumably a fairly small print run. It's been out of print for quite a while now, so there aren't a lot of new owners. There are actually three logged plays of this for the month: one by me and one each by two other people playing at the same time. Sneaking in here under a technicality but I was the only one to play this scenario to Kingsburg this month. For those not aware there are 4 scenarios on the Geek that were released by the designers of the game. They change the game in some small way and force players to adapt to a set of conditions that change the game up in some way, which is always a nice change of pace. EDIT - Actually squeezed in one more on the last day of the month. Game called Yaniv - card game from Israel that uses a classic deck of cards. 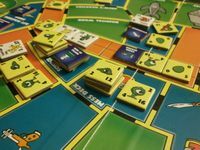 If you like straight forward family card games that use standard cards I recommend you check out my game comment as it explains it all there. I look forward to teaching this to my family. 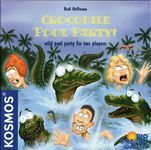 Only 1 of the 2 plays ever recorded on BGG. I have 4 games to report this month, and amazingly enough, none are on Joe Huber's list. I learned the rules to 1853 and wrote up a teaching guide. The new rules (included in the Lookout version) are probably an improvement on the old rules from the standpoint of most potential players. Having done this, I wanted to play the game, and yesterday evening we got through to the start of the green phase in our first try of the game. Earlier in the month we played West Riding Revisited, a game I received in a Winsome Games order. It worked fine, but had a lot of tactical fiddling (something Kevin proved to be much better at than I was.) I didn't mind playing, but wouldn't seek it out again either. 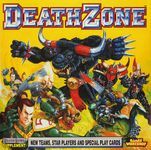 The same evening we played Pitch Six, a trick-taking card game with an unusually high randomness factor. I enjoy trick-taking card games, but they have to be really special to make me want to play them again. 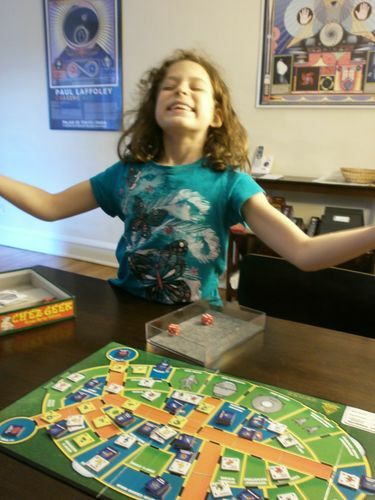 And finally, as part of Kevin's quest to play not only good games, but bad ones, I agreed to play a game of Go For It!. Note that just because Joe Rushanan owns a game doesn't mean anyone (including him) thinks it's a good game. This one isn't. 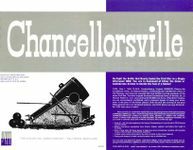 Going old, old school on this one, Avalon Hill's Chancellorsville (second edition) from 1974. I had been playing Gettysburg games this year in commemoration of the 150th anniversary of the battle, and I realized I had this Chancellorsville game sitting in storage as well (although I should have played it back in May). I'm glad I played this one. First I really did not know much about this battle other than the high points (Lee's greatest victory, Stonewall's last battle). There's another game call Across the Rappahannock, and the first several times I had come across that title, I had no idea it referred to Chancellorsville. But there is was stretching across my Chancellorsville mapboard, the Rappahannock River. Along with the Rapidan River and dense wooded terrain, it was really clear how difficult moving troops was in this campaign. Second, I actually enjoyed the game. 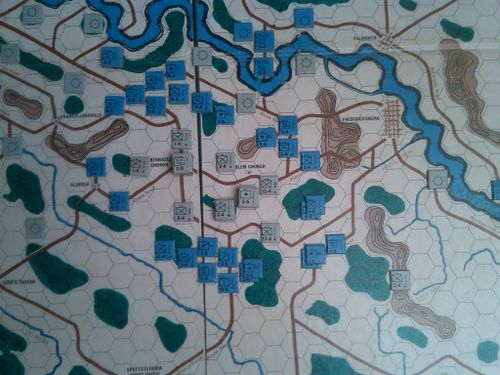 It had the old igo-ugo (or igo-mego for a solo-able wargame) turn sequence and an odds-based CRT. But the CRT was almost bloodless, mostly causing retreats and disruptions. The key to eliminate enemy units was to cause a second disruption on a previously disrupted unit. This meant you really had to guard your retreat paths in case your assault did not go well. Otherwise a counterattack would have an easy time with your disrupted units. The Union lost several divisions to such Confederate counterattacks, but in the end the Union managed to surround the Army of Northern Virginia and eliminate them all! Robert E Lee I was not.